Steve Gadd is one of the most sought-after studio musicians, in the world. Regarded as one the most influential drummers in contemporary music, Gadd can play anything, easily bridging different musical styles. His feel, technique, and musicality on such tunes as Paul Simon's "Fifty Ways", Steely Dan's "Aja", and Chick Corea's "Nite Sprite" were so awe-inspiring and his concepts so innovative that they instantly assured his special position in the history of the percussive arts. Gadd attended the Manhattan School of Music for two years, and then went on to finish at Eastman School of Music. Prior to that, he studied privately with Bill and Stanley Street and John Beck. He established himself with the great Chuck Mangione and then spent three years in the Army prior to coming to New York City for studio work in 1971. Gadd rapidly rose to prominence on the studio scene. His resume includes a variety of artists, including Carly Simon, Phoebe Snow, Aretha Franklin, Al DiMeola, Stanley Clarke, Rickie Lee Jones, Tom Scott, Frank Sinatra, and Stuff. After a period of touring and recording with his own band, the Gadd Gang, he provided the spark that ignited Paul Simon's South African inspired, Grammy Award-winning recordings and dynamic live touring band. Today, Gadd is as busy as ever, balancing frequent recording dates with a hectic touring schedule that includes high profile artists such as Eric Clapton, James Taylor, Kate Bush, and Paul Simon. He also has been equally passionate about producing some personal projects on which he also plays drums: The Gaddabouts (w/Edie Brickell, Andy Fairweather Low, & Pino Palladino), Mikarimba (w/Mika Stoltzman & Eddie Gomez), Steve Gadd & Friends, L’Image (w/Tony Levin, Mike Mainieri, Dave Spinozza, & Warren Bernhardt), Pedro Martinez Group, and…Steve Gadd Band! Michael Landau is a prolific session guitarist who has played on a large number of albums since the early 1980s with artists as varied as Joni Mitchell, Seal, Micha el Jackson, James Taylor, Helen Watson, Richard Marx, Steve Perry, Pink Floyd, and Miles Davis to name a few. In addition to his session work, Landau has also fronted several bands including Raging Honkies and Burning Water. In the early 1980s, he was also in the band Maxus that featured future Los Angeles session musicians Robbie Buchanan, Jay Gruska, and Doane Perry. Michael is also leader of the Michael Landau Group. Jimmy Johnson is an American bass guitarist best known for his work with James Taylor, Allan Holdsworth, Lee Ritenour, and Flim & the BB's. Raised in a rich musical environment, his father was a 47-year member of the Minnesota Orchestra's bass section, his mother a piano teacher and accompanist, and his brother Gordon, also a professional bassist. In 1976, Johnson worked with Alembic and GHS to create one of the first 5-string bass guitars with a low B string. Living in the Los Angeles area since 1979, Johnson continues to record and tour with singer-songwriter James Taylor as well as guitarist Allan Holdsworth, and is frequently heard with various groups at The Baked Potato Jazz club in Studio City, California. Walt Fowler started his professional career touring and recording with Frank Zappa. In 1975, he formed a band with his four brothers known as "The Fowler Brothers Band." He has toured and recorded with Johnny Guitar Watson, Flo & Eddie, Ray Charles, Buddy Rich's Big Band, George Benson, Diana Ross, James Brown, Roberta Flack, Diana Ross, Stanley Clarke, Yazawa, James Taylor, The Doors, Manhattan Transfer, Fishbone, Paula Abdul, Luis Conte, Billy Childs, Chad Wackerman, Brandon Fields, Banned from Utopia, Toto, Steve Gadd Band and many others. Walt is also featured on a massive amount of major motion picture soundtracks over the past few decades including Backdraft, Man of Steel, Inception, The Dark Knight, X-Men, Black Hawk Down and Pirates of the Caribbean. Kevin Hays is widely considered to be amongst the most imaginative and prolific jazz pianists of his generation with 15 releases as leader, and over 60 appearances on recordings including collaborations with Brad Mehldau, Joshua Redman, Chris Potter, and Bill Stewart. In addition to leading his own trio and other special projects, he has toured with many jazz luminaries including John Scofield, Roy Haynes, Sonny Rollins, Joe Henderson, among others. 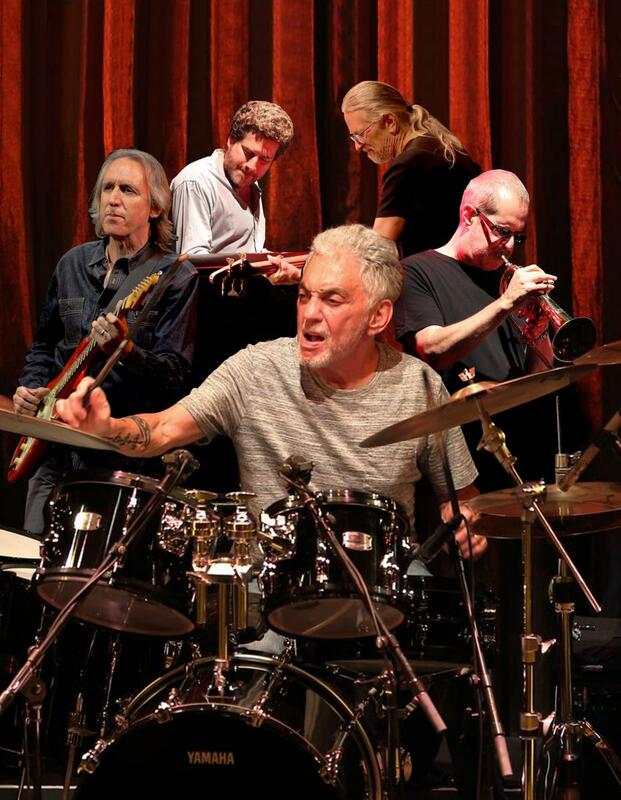 Steve Gadd Band has released 4 albums to date. 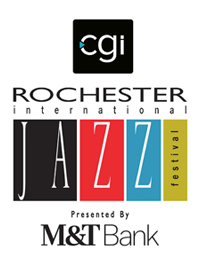 Their 2016 release, “Way Back Home”, a CD and double DVD set recorded live at the Xerox Rochester International Jazz Festival in 2015 was nominated for a Grammy Award. Their self-titled album won the GRAMMY® for Best Contemporary Instrumental Album in 2019.